For the best presentation and protection of suits, jackets, coats, jumpers, shirts & tops etc. Quality, thick, shaped card for fitting over shoulders of wire hangers. Non-slip tabs which can be raised if needed. 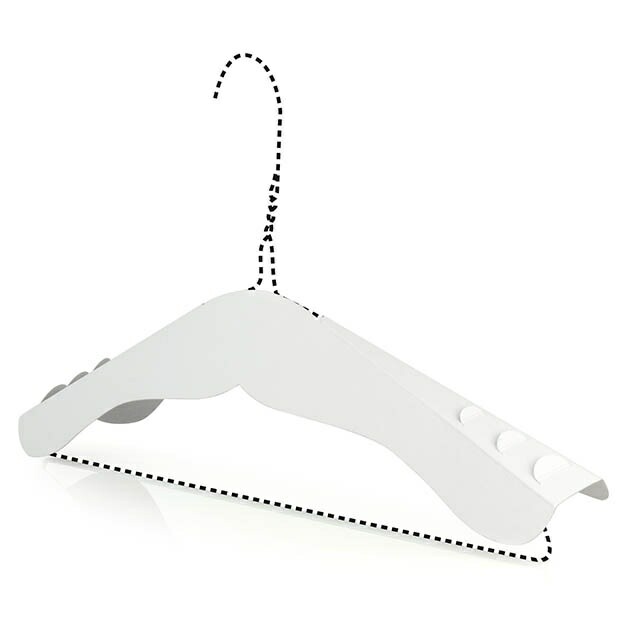 Avoids hanger damage to garments, especially when stored for any length of time. As used by dry cleaning, laundry and ironing services. Easily fitted.